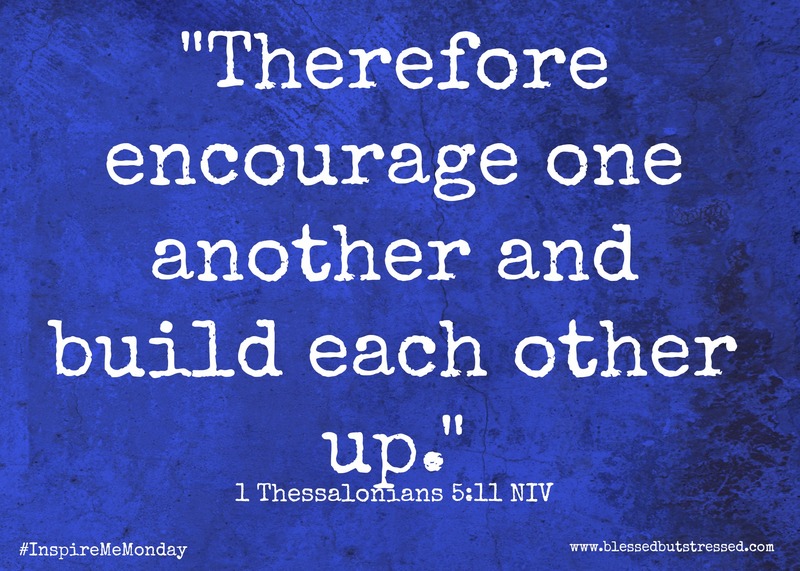 How do you decide when to be an encourager or an audience? “Some of the kids might get a little freaked out about riding along the side of a cliff,” I told Pedro as we discussed where to take students on Sunday’s mountain bike ride. “They should do ok—they can walk if they get scared. It’s such a beautiful ride.” I nodded in agreement. 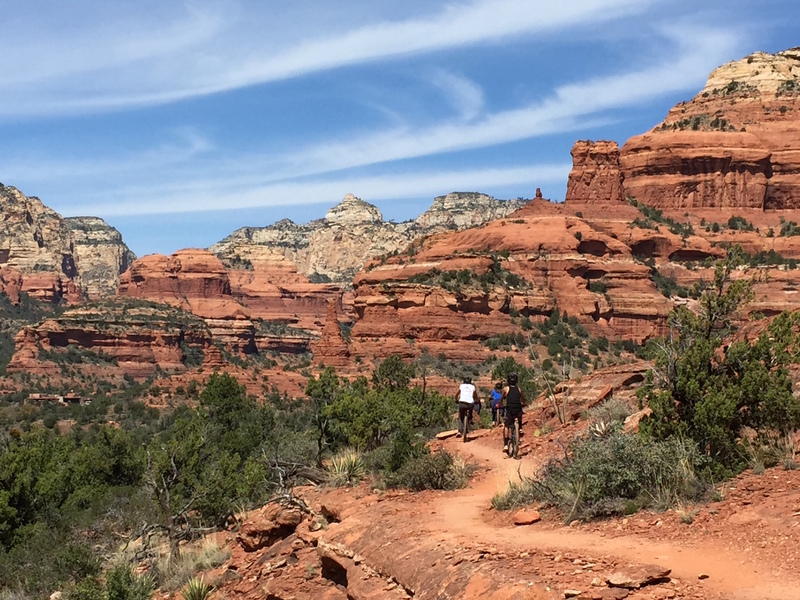 But we had forgotten about the difficult and technical parts of the trail—after all, we hadn’t ridden it for two years. The memories of the rough spots and steep uphill in the first two miles may have faded, but I started to worry about the less skilled riders as the we approached yet another rocky uphill stretch within the first mile of the ride. Everyone seemed to have a great attitude, though. The more skilled riders waited at the top of a steep, switchback-filled incline and cheered as each successive rider made it to the top—whether they ended up pushing their bike or ‘cleaning it’ (making it successfully up the hill without putting their foot down). When I cleaned the hill, Pedro led the ten students in cheer for me, too. I blushed. We started out again, and as I waited for the long line to spread out a bit, I enjoyed the towering red cliffs, the deep blue sky, the sounds of birds trilling and the lavender, yellow and white flowers that dotted the hillside. A perfect day in a beautiful place with an enthusiastic group of kids—a great way to spend a Sunday afternoon. And then we came to the part of the trail that follows a wide spot along the long, concave curve of a towering cliff. The trail split as it approached the cliff and someone has posted a sign that said, “Difficult” with an arrow pointing to the right, and “Extreme,” with an arrow pointing to the left. Neither way was dangerous—just unnerving to someone on a bicycle. Did I mention that several of the kids had never ridden on a mountain biking trail before? The sign did nothing for their budding confidence. A few of the students followed Pedro down the extreme path—they had gone with him on other trails over the past two years, and they knew their (and Pedro’s) limits and skills. I confess that I got a little irritated—especially as she fell further and further behind and started acting like a helpless victim—as if the trail and her presence on it were somehow MY fault. When we made it around the corner of the cliff, I assured her that that was the worst of the trail, and the easiest way back to the car was to continue around the loop. I struggled to discern if I was acting as an encourager or audience–did she need encouragement or was I wan unwitting audience to the drama she produced? She grumbled. She mumbled. She flung her bike against the side of the hill when she had to get off once again to negotiate a rocky patch. The temperature climbed and the sun beat down and bounced off the beautiful red walls. I could feel my unprotected arms and legs slowly turning the same color as the rocks. Eventually, she stood up again and jerked her bike into position and started to ride. She rode off down the trail, mumbling and grumbling. I let her get a good ways ahead of me—hoping that without an audience, my little drama queen would find it more difficult to act. At one point, Pedro rode back to see if I wanted to switch places with him. I thanked him, and like a martyr, urged him to return to the front and enjoy himself. Occasionally I could see her make it over a tough spot and I’d praise her efforts. She caught up to the rest of the group where they had stopped to fix a flat tire and I left her in the shade and joined a group of boys who had congregated at the bottom of a difficult hill. We spent twenty minutes cheering each other on and seeing who could reach the highest point on the trail. By the time Pedro had fixed the flat, I had expended my pent-up frustration on tackling the hill (I made it three-fourths of the way up—not bad for an old lady). I felt refreshed and ready to take up my position as cheerleader and encourager of grumpy children once again. Pedro had taken a few moments during the flat-fixing stop to encourage my drama queen, and his wise words seemed to do the trick. Although she had to walk her bike up a couple of steep spots, my little drama queen had chosen to have a better attitude. At the next fork in the road, we decided to head back to the vehicles because some of the students had run out of water. The wide trail and easy surface made the last two miles a breeze. By the time everyone refilled their water bottles, many begged to ride that section of the trail again—even my drama queen. I waited with the one student who didn’t want to ride longer, and everyone else happily rode back up the hill so that they could zoom down again. As I waited, I reflected on how I often I pray for patience during my morning time with God. How quickly I forget that if I ask for #patience, God gives me opportunities to exercise it. Click To Tweet I don’t do well with whiners and complainers. I don’t know when I should shout encouraging words and when I should open my mouth and tell them to choose a better attitude. I do know that there’s a fine balance between encouraging and acting as an audience. The only way to discern that balance is through prayer, so I pray for guidance, and hope I do no lasting harm.